Thanks to technology, managing your money is easier than ever before. Unfortunately, that very same technology makes it incredibly easy for thieves to steal your hard-earned money – and thanks to a new scam that relies on banks’ tech-friendly ATMs and your very own smartphone. If you fall for this frightening new banking scam, you could find your checking or savings account wiped clean of all your cash. Here’s what you need to know before it happens to you. There’s a new trend at banks across the country: cardless ATMs. These new ATMs allow customers to withdraw cash without using a debit card. You can simply open your bank’s app on your smartphone and get your cash in seconds. And, according to Krebs on Security¹, financial experts are claiming these new card-free ATMs are even more secure than traditional ATMs. However, these new cardless ATMs are perfect for criminals. Thieves love these ATMs because they can trick you into giving them your account credentials and login information, making it easier than ever before to steal your money. And once they have access to your information and your cash, they can lock you out of your account permanently. 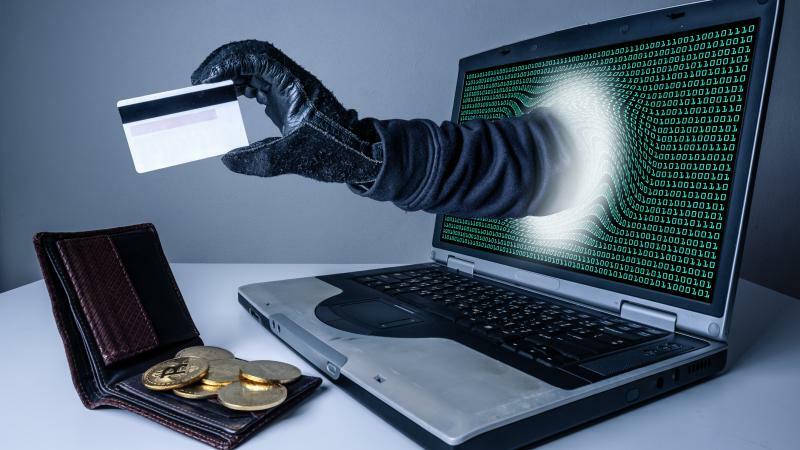 In order to access your account and your money, thieves simply need to get your information – and they really only need your username and password. Cardless ATMs make it incredibly easy to login from any smartphone, so thieves are targeting your most basic details. And here’s how they get them, according to Lifehacker². Thieves text bank customers, sending a scary message that states your bank account has been locked. The text message includes a link for you to “reset” your account and gain access again – and when the link is clicked, you’ll land on a website that looks just like your bank’s website. On these look-a-like websites, you’ll be asked to enter all of your account information. The site will ask for your username, your current password, your one-time passcodes, your PIN, and sometimes other information. And as soon as you enter this information, the thieves have exactly what they need to steal your money from a cardless ATM. Can You Protect Yourself and Your Money? This text message scam is hitting bank customers left and right. Fifth Third Bank customers have been complaining about getting these suspicious text messages since 2016, WCPO reports³ – and 125 Fifth Third customers lost $68,000 in just two weeks this year⁴. And in 2017, California customers at Chase Bank saw their accounts drained from the very same scam. As these cardless ATM scams become increasingly more prevalent, you could soon find yourself on the receiving end of a text message asking you to hand over your bank account information. So how can you protect your account and your finances? In order to prevent your account from being drained, you need to make sure you know your bank very well. First and foremost, does your bank offer cardless ATMs? Have you ever used them before? If your bank has yet to use these machines, you can worry just a little bit less. Make sure you take a close look at your bank’s policies too. Most banks will state on their websites what customers can expect, communication-wise. Does your bank regularly text you with alerts about your account? Does your bank have a clearly stated policy about what information they will ask for in those text messages? Often, banks will explain on their websites exactly what they will and won’t ask customers for – and many won’t text customers asking them to reset their account. If you know this information about your bank, you’ll be less likely to fall for these text message scams that make your most important information vulnerable. Keep yourself protected by spotting suspicious text messages as soon as they arrive in your messages app. If you know these texts can happen at any time, you’ll be able to avoid a dangerous scam before falling for it. If you get a text that alerts you your bank account has been locked, don’t click on any links in the message. Instead, talk to your bank. Give your bank a call and ask if they’ve sent out any communications to your number, and if your account appears to be locked. Don’t take any action online until you’ve verified with your bank that the message is legitimate. You can also increase the security of your bank account with steps like 2-step verification. If any changes are made to your account, make sure the person accessing the account have to enter information only you would know – and never provide that information to anyone online other than your bank.